Data is the new oil and is the most valuable resource of the digital era. Modern technologies like Artificial Intelligence and Machine learning are redefining businesses globally. These technologies make complex business processes simple and easy to understand, with the help of data. These new technologies are revolutionising the employment landscape. 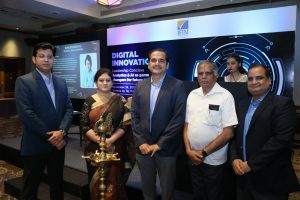 Businesses globally are adopting these modern technologies quickly and are also witnessing a significant shortage of skilled professionals in data analytics and artificial intelligence. Academia can help in bridging the existing gap in the industry by creating skilled and employable professionals. The core mission of IFIM Business School is to develop well-rounded, employable and socially responsible management professionals. 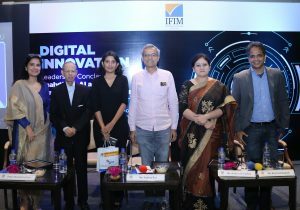 IFIM actively works with the industry leaders to understand the needs of the industry and embed the same into the academic curriculum. As a part of this mission, IFIM Business School recently organised a Digital Innovation Conclave with the industry leaders on how data and artificial intelligence will be the game changers of future businesses. 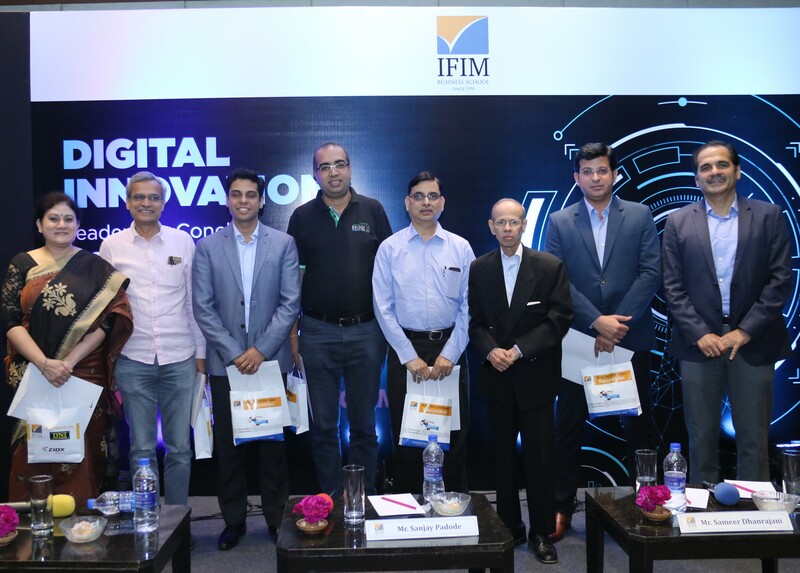 The conclave addressed key trends and talent needs of the industry in data and artificial intelligence during the panel discussions. 1.Data is the new fuel for businesses and technologies such as artificial intelligence, machine learning and data analytics. These modern technologies are fast destroying many jobs and are at the same creating new jobs which will outweigh the old jobs by a factor of 10. 2. Academia and the industry have to capture the need of the present as well as the future in their curriculums and pedagogies to create the required pipeline of talent. Meanwhile it also very crucial to reskill professionals who are fast becoming redundant. 4. The threat of machines ruling humans cannot be ruled out, however, it still continues to be a fantasy and does not look like near reality. Responsible use of technology will only make the world a better and an efficient place. 5. Artificial intelligence and machine learning is here to stay and it thrives on data. Managing and processing data by building algorithms that mines the insights of data from chatbots/robots will be the new normal. 6. Tools and development environments will make it easier for a user to leverage the power of neural networks, artificial intelligence and machine learning to solve problems. b. To enable India to maintain its pole position in the field of data analytics and artificial intelligence. 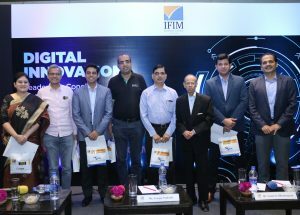 The conclave which was attended by the industry leaders and academicians was concluded with a single motto that data & artificial intelligence will be the game changers of the future.